The 1975 Gallery is an art gallery currently (as of November 2015) on extended hiatus. They specialize in up-and-coming local artists. 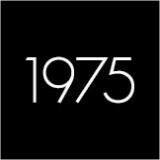 The 1975 Gallery opened October 3, 2008. They spent the first few years of their existence as a nomadic gallery before settling into their current location, the former home of Little Bakery, in July 2012. In 2012 one of the gallery's exterior walls received a mural from Wall\Therapy, depicting a "peace owl." From October 3-31, 2015 they held a final exhibit called "Here Lies" in celebration of their seventh anniversary. They stated they would no longer be at the Charlotte Street location upon reopening.